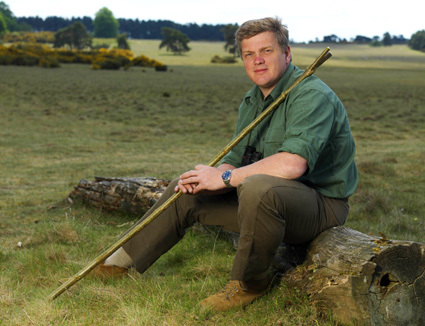 In this, the fifth episode of Wild Britain with Ray Mears, Ray explores one of the country’s least-known habitats – the ‘Brecklands’. One of the driest places in England, the Breckland is an unusual natural habitat, comprising of gorse-covered sandy heath, yet it is an area of considerable interest for its unusual flora and fauna. Despite often bearing the brunt of the hottest summers and coldest winters in the country, the area is home to an abundance of exciting wildlife; brown hares, the rare stone curlew and the noisy pool frog – that until recently was extinct in Britain – all call this habitat home. Ray also ventures below ground to explore an ancient flint mine, where he discovers a red deer antler that has remained there since the stone age. This entry was posted in Ray Mears on November 5, 2010 by Woodlore Team. how thick is the blade of your knife.